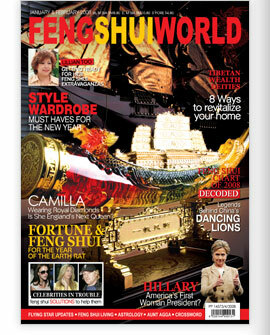 Cover picture shows an exquisite Dragon Boat to bring you wealth, power and success. The words "Yat Fan Foong Shun" means "Whatever you do, you will have a smooth ride." Page 39 : Hillary Clinton: America’s Next President? 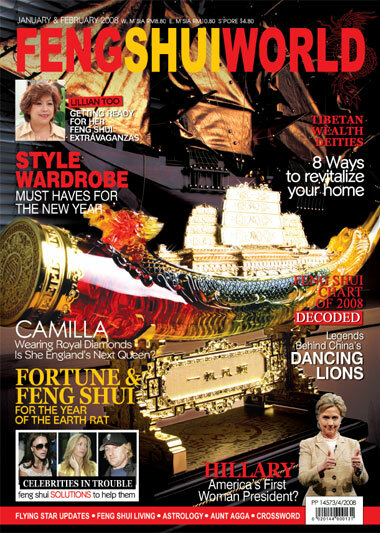 Page 43 : Camilla Parker Bowles: A Future Queen of England? 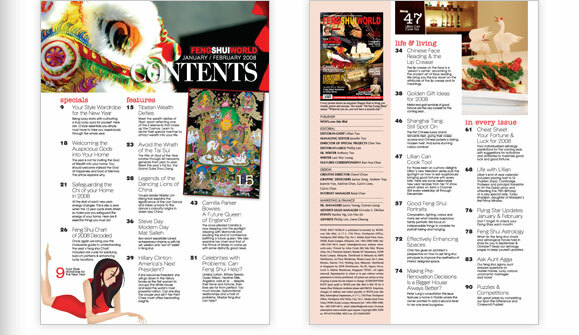 Page 51 : Celebrities with Problems: Can Feng Shui Help? Page 47 : Lillian Can Cook Too! Page 74 : Making Pre-Renovation Decisions: Is a Bigger House Always Better?